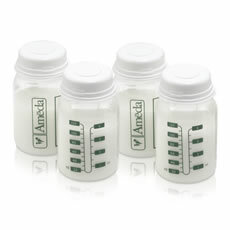 Ameda Store ‘N Pour™ Breast Milk Storage Bags are BPA-free and DEHP-free. Store ‘N Pour storage bags are pre-sterilized and freezer safe, with an easy-close zip seal so the bags won’t leak. Their unique tear-and-pour spout helps prevent spills during milk transfer, and a gusseted bottom allows the filled bag to stand on its own. 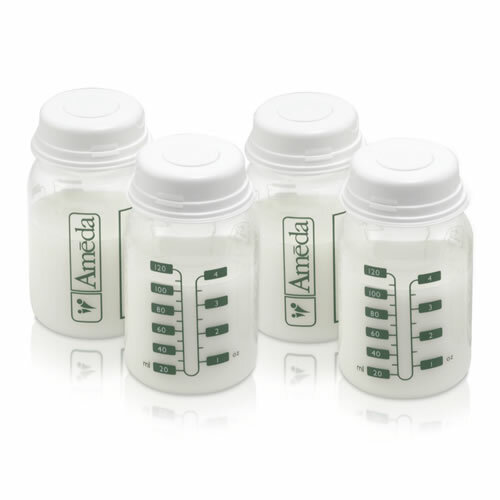 2 unique flange adapters in this starter kit easily attach to pump kits, channeling milk flow below the zip seal to prevent any loss of milk.